Monkey fights have a thing or two to teach robotic drones, collective computing researchers find. We tend to avoid conflicts, but they could lead to better decision making. 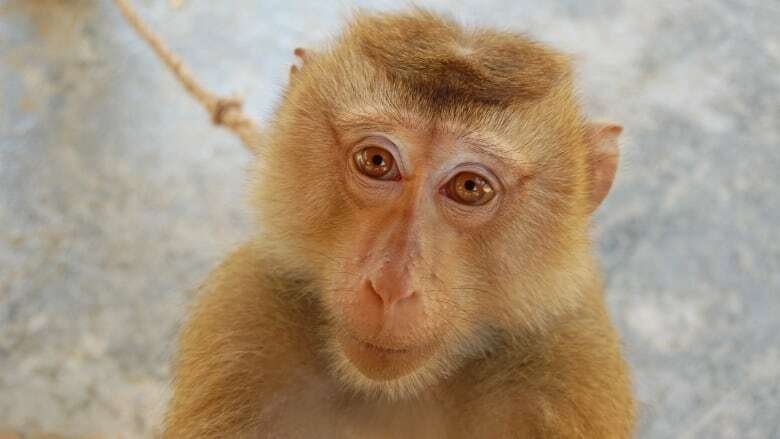 Researchers in the U.S. applied data on pig-tailed macaque fights into a mathematical framework called collective computation to see how conflicts help the group to reach decisions. Conventional wisdom holds that conflict is negative. But Dr. Jessica Flack of the Santa Fe Institute in New Mexico and her team found that when conflict is controlled or limited, it can lead to exploration and improve how individuals in a group are able to work together. The monkeys they studied have frequent fights and then often repair their relationships. They form dominance relationships in which the individual perceived as weaker agrees to the subordinate role. "They need to have conflicts and fights in order to learn about each other's fighting abilities so they can avoid having fights. That's actually how it works," Flack tells CBC Radio's Quirks & Quarks host Bob McDonald. Through spats, the weaker individual learns when to give subordination signals. Flack and co-author Dr. Eleanor Brush found when the monkeys took more time to think about their rival's fighting skills, all the animals benefited. "When there are conflicts of interest, each member of a pair desires a different outcome. Strengthening these conflicts essentially makes the components more stubborn, which leads to increased decision times, and, on average, improves the quality of information," Flack says. The researchers say the findings could be applied to improve how robots — like drones — work in groups. When drones are out gathering information about the world they have to figure out who has the right information. "One way to figure that out is by fighting it out."